As a family trying to live a healthier and more eco-friendly life, one of our new years’s resolutions was to give up plastic wrap. Once the last roll was used up after Christmas, I made the decision not to purchase a new roll. We had to start getting creative and finding alternatives! Six months on, we are doing just great without it and really wonder why we ever needed it! Today, I am going to tell you some reasons why we gave it up and what we use instead. Why give up plastic wrap? Rebecca, eco warrior and mum, from 4 My Earth posted this on Facebook one day and it really hit home! 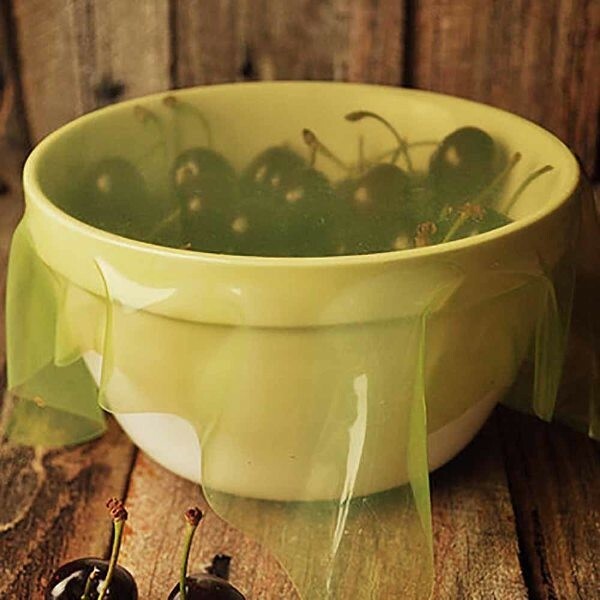 Plastic wrap cannot be recycled and is almost impossible to reuse. It takes hundreds of years to break down and once it ends up in landfill, it can be very damaging to our wildlife. Choice Australia tells us that “plastic can contain smaller molecule that are free to migrate into the food it’s in contact with. The plastic can slowly breakdown, releasing monomer. • PVC (used to make bottles, cling wrap and the seals for screw-cap jars) contains added chemicals known as plasticisers. On its own, PVC is hard and rigid (it’s used to make drains, guttering and downpipes), so plasticisers are added to make it soft and flexible – in much the same way water added to clay makes it soft. Plasticisers can make up as much as 40% of the plastic material. Phthalates and DEHA (di-(2-ethyhexyl)adipate) are often added as plasticisers to the PVC that’s used for food packaging; again, recent research raises doubts about the safety of these compounds. 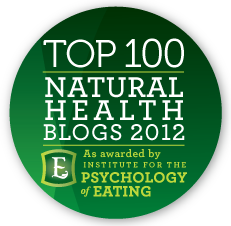 Phthalates are endocrine disruptors, meaning they can mimic the body’s natural hormones and thereby cause a raft of health problems. Infants and the very young are most vulnerable to exposure because of their lower body weight and because their growth and development are strongly influenced by hormones; the effects on health can be lifelong. These effects have been seen clearly and consistently in experiments with animals and when people or wildlife have been accidentally exposed to high levels of endocrine disruptors. What to use instead of plastic wrap? ♥ Food Covers. I invested in a few sets of re-usable food covers from 4 My Earth. We use them to cover bowls and plates of leftovers but they also go over things like cut watermelon and pumpkin. They are very easy to wash in the sink or in the washing machine and they last for years and years. 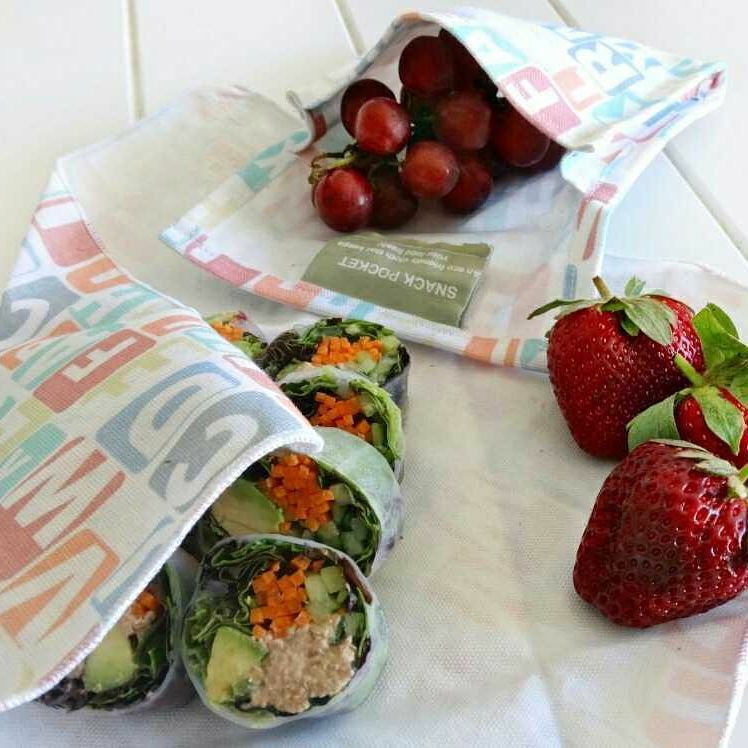 ♥ Food Wraps and Pockets. Also from 4 My Earth, we purchased several food wraps and pockets (some in plain for the teenager!). The re-usable food wraps are great to wrap up sandwiches or slices of quiche. The re-usable food pockets are great for muffins and slices, nuts, dried fruit or grapes. They also come in handy for storing things in the fridge like cheese. ♥ Food bags. If you haven’t worked it out yet, I am a a huge fan of the 4 My Earth products!! The food bags come in large and small and I use them for cheese, bread, pretty much anything really. But where they really come into in their own and solved a huge problem for me was for meat storage. You can take them along to the butcher and get your meat straight into the food bags and then when you get home, just push as much air as you can out of them, zip up and pop in the freezer. Defrost with a bowl under and then wash the bags in the washing machine. Get the food bags here. 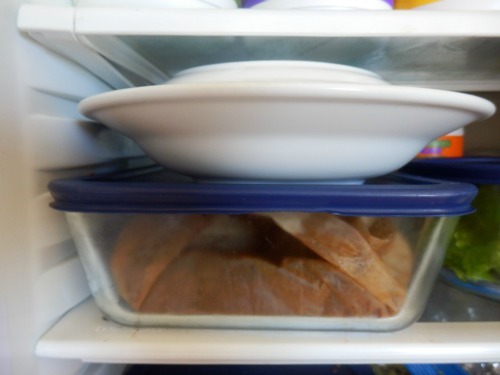 The other way I freeze meat when I have run out of bags is to tightly wrap in the non-toxic baking paper and then pop into a glass storage container. ♥ Glass containers. I bought a set of Pyrex glass storage containers and they do they job but the plastic lid does crack and break over time. Unfortunately you can’t buy replacement lids in Australia. I use my food covers over the container. The food rarely touches the lid, so I don’t worry about the plastic in that. These are great for the fridge or the freezer. Next time though, I would get a Glasslock set. ♥ Glass Jars. Although there is sometimes plastic in the lids of jars, if it doesn’t touch the food, I don’t panic too much. 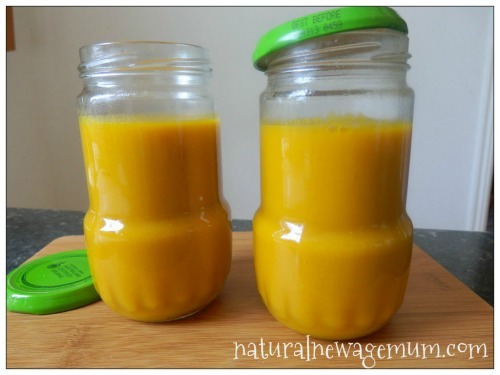 We re-use glass jars for all sorts of things – including leftovers, bliss balls, soup and broth. They go well in the fridge and the freezer. Here is a post I did explaining a bit more about it. Goodbye Plastic, Hello Glass! ♥ Paper products. 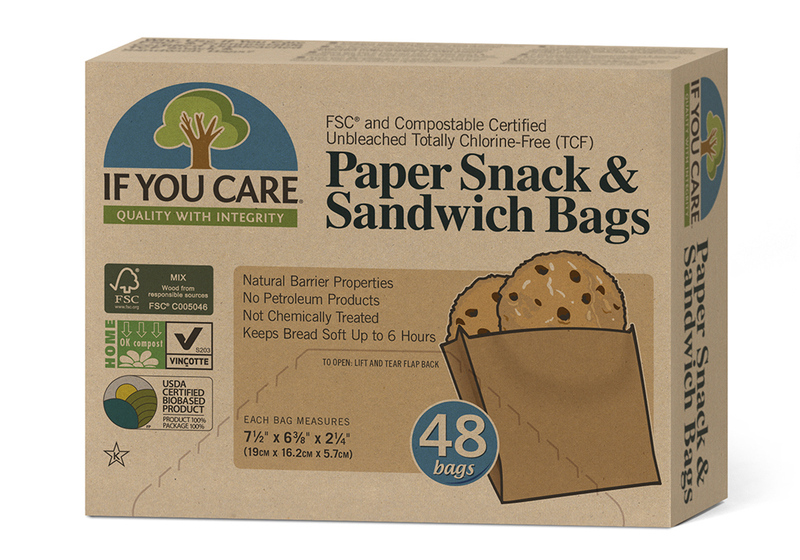 We love the If You Care range of safe paper products. They come in handy for a range of things but they are usually a last resort! ♥ Plates. Quite often we just use a plate on top of a bowl as shown in the photo! You can also store fruit like melon and pineapple, cut side down on plates. You can’t get much simpler than this! ♥ Stainless Steel Containers. I got this ‘tiffin’ for my husband to use as a lunchbox to take to work. It’s also good for storing things in the fridge (but you have to remember what you put in there!). 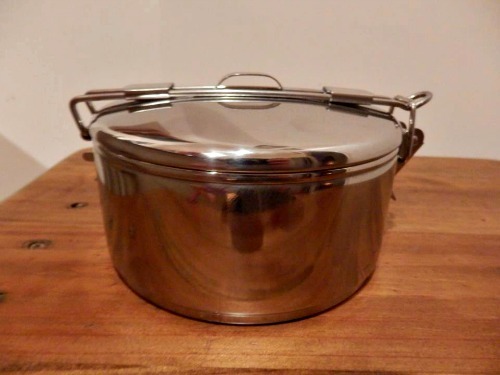 Check out Biome Eco Store for a huge range of stainless steel containers as well. ♥ Beeswax Wraps. These wraps work similar to plastic wrap and keep product very fresh. They are also fully bio-degradable which makes them the perfect alternative. 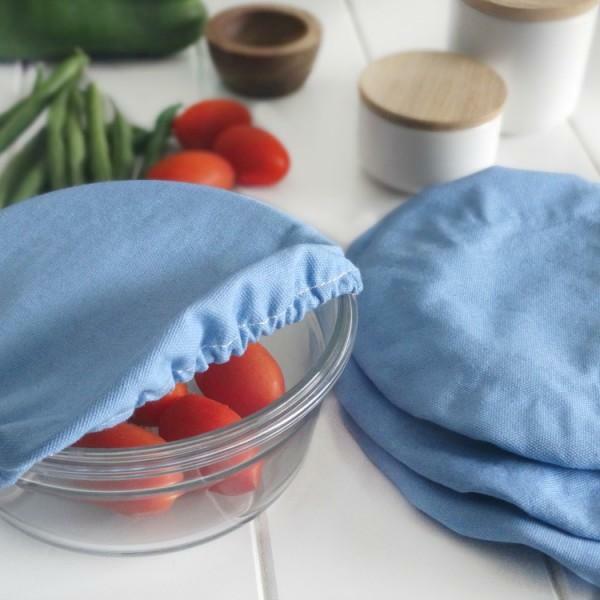 Using the warmth of your hands, these wraps will wrap produce tightly and seal in on itself. The beeswax can break off over time with use, but you can simply refresh them in the oven on a low heat to redistribute the wax. 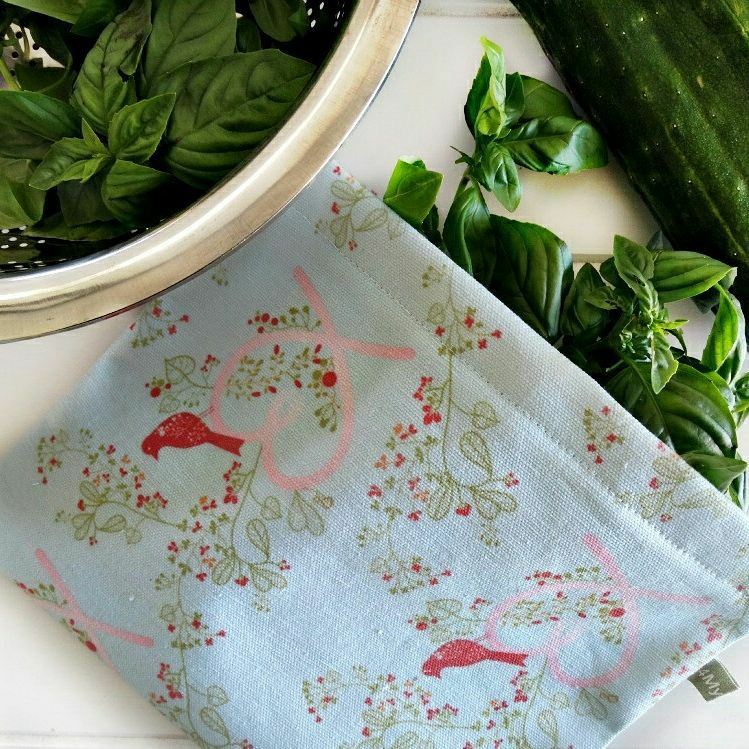 Check out the beeswax (and vegan) wraps. ♥ Silicone Wraps. These are fairly new to the market and I have heard mixed reports. I am more than happy with my 4 My Earth products and they have lasted years so I haven’t been motivated to try these! They are made of silicone and can replace baking paper, cling wrap and alfoil. They don’t contain any BPA, PVC or lead and can be washed and reused. Find out more about the silicone wraps here. If you want to go cold turkey on the plastic wrap like we did, get yourself prepared and invest in a few alternatives first. It took a bit of getting used to and changing our habits, but we did it. I am really happy that we don’t buy this product any more. 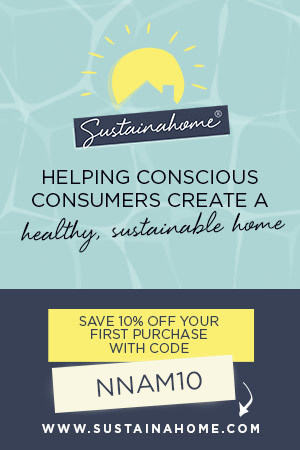 It’s one small step to help the environment and improve our health. I hope these tips for alternatives to plastic wrap have been useful. 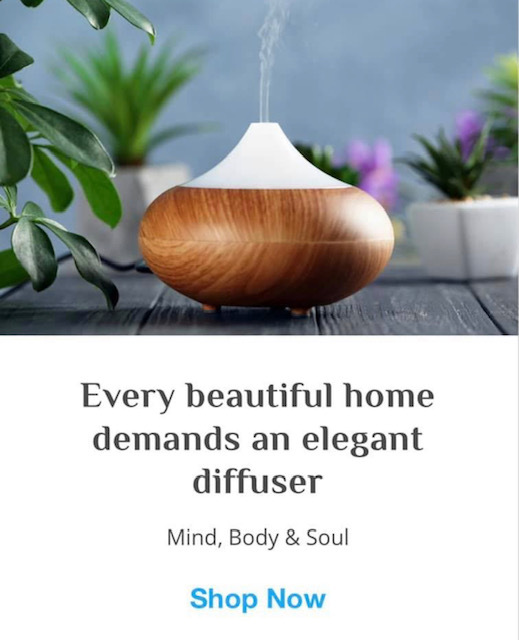 Let me know what you use and how it works for you. Let me know how you go Camilla!! It does take a bit of effort and investment initially, but I think it’s worth it! I never thought of putting cheese in a 4myearth sandwich wrap, great idea, it is one of the very few things I use plastic wrap for. I recently got some If You Care baking a paper, great stuff, I’ll be looking at more of their products too. Yes or sometimes the kids even just put one of the tiny food covers over it! They are more creative than me sometimes! I love the old bowl/plate combo! but great to see the lunchbox stuff – will have to invest in some of that. If you think about it, our grandparents never had cling wrap and managed okay! One of the only things I use cling wrap on is avocado – I usually only use half an avo at a time and cling wrap stops the leftovers going brown. Any tips to help me kick the plastic habit? Hi Jules, I have a special Avo saver that does a great job. You can usually find them at any supermarket but they can be a bit tricky to find as they are usually a specialty thing hanging down in any of the aisles. It allows you to keep the stone in and the rest of the avo sits flush against the plastic. You’ll have to keep your eyes peeled for them. Most good kitchen shops will stock them too. I usually just place the cut side of the avo on a piece of kitchen paper folded in half or smaller & place on the shelf in the fridge or on a plate. Thanks Lee – great tip! Use lemon juice on the cut half – a bit like putting a slice of lemon in a bowl of peeled potatoes – it is supposed to act like an antioxidant and stop the food going brown. Wet paper towel is magic. The Avo lasts so long! 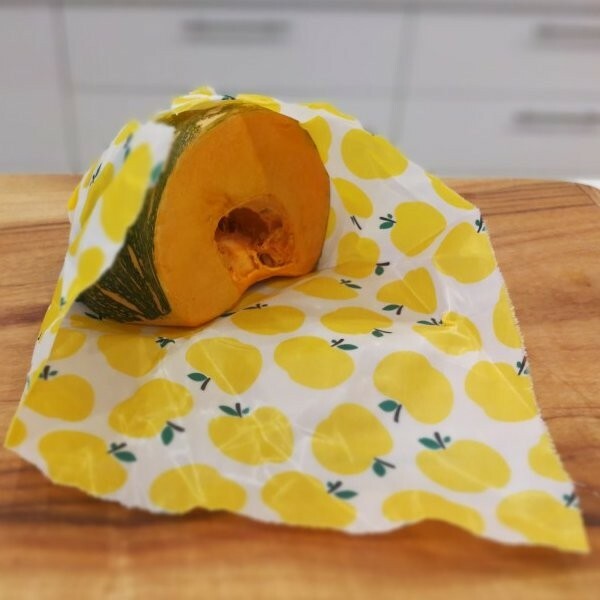 Since we’ve been using the 4myearth food wraps with school lunches we have significantly cut down how much plastic wrap we use. My husband loves it cause he never could work out how to get the plastic wrap off the roll and onto the food without getting tangled up. 🙂 I couldn’t quite go cold turkey but I can’t think the last time we used it. Maybe a couple of times a year. I would encourage others to have a go too. It’s not as hard as you might think. Good on you Sandra! Yes, it is easier than cling wrap for little fingers too! thanks Jo, they look really interesting too! We have chosen to go wrapper free at school – which means buying yoghurt in bulk and baking for morning teas. I currently use a range of products to store things in but they are all plastic lunch box things. May have to rethink some of these – I buy BPA free. So many things to think about – I have to say Sonia I get a little overwhelmed by it all – although we rarely use gladwrap because I will put everything in containers. It is overwhelming! I try to make small changes and stick with them for a bit so they become a habit and then go onto the next thing. Only do what you can do! Your BPA free plastic is safe according to Nicole Bjisma – just don’t heat things in it. Thanks Sonia. I never heat things up in them – just for lunches 🙂 And I am trying one thing at a time. I love to hear ways that people are making positive differences, especially for the environment. Thanks for so many great tips to make this transition easier. I was a bit worried about the glass cracking too but as long as you leave plenty of room for expansion, they work beautifully. Have been making small changes in reducing plastic use. What do you use to freeze your meats? My meat normally comes to me frozen from the organic delivery but if I get some from the supermarket and want to separate it, I just wrap in paper and then put into a pyrex dish with a lid. Seems to go okay – no freezer burn. Does anyone freeze meat at home with no or little plastic? We buy bulk meat from the butcher & pack it into meal sized packs at home. Have been trying to reduce the use of bags/wrap but haven’t come up with any ideas for freezing the meat. HI Lee, I wrap in paper and then pop in a glass storage container. Seems to do the trick. I also stopped using plastic wrap about 6 months ago, when we used up the last roll I just never bought another, and to be honest we don’t miss it. I use a lot of jars and glass pyrex containers to store leftovers, as well as the plate over the bowl 🙂 I am so happy to have plastic wrap out of my house, but I do notice a lot more how much some of my friends and family use it and it really makes me cringe, especially when there are so many great alternatives! Great post Sonia! You do notice it a lot more now! And to think I used to double wrap! eeek! small steps for sure! sounds like you are doing great! Thanks Tracey – yes it’s easier to concentrate on getting one good habit down pat and then move onto the next things! You ad so right, there are lots of alternatives…just a matter of changing habits! 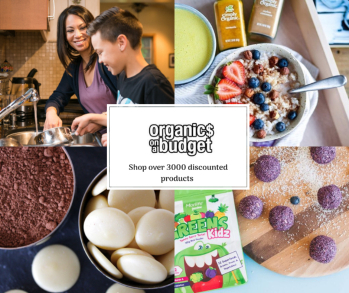 Great post and don’t know how I lived without my 4myearth products before! Rebecca is a legend isn’t she ? I try not to use too much. I use the food wraps too and bowl covers. yes, very clever!! I like the thermoservers too – I only have one! I’m just starting to make some changes. I do a lot of batch baking & freeze muffins, frittatas etc. Any suggestions on how to store individual items in the freezer? Is alfoil just as bad for us & the environment? What kind of paper do you use, baking paper? Also, I just had a look at my ‘multix” wrap & it says it contains no pvc or plasticisers rather it is made of polyethylene. Do you know anything about this material? It’s been over 10 years since I last bought plastic wrap. I use the same alternatives as you, although I also use plastic tupperware type containers too. I do still use plastic freezer bags occasionally though, I just haven’t found an alternative for freezing meat, which I buy in bulk, because I don’t have the room in our small freezer for the containers. My MIL gets her fruit and veg in the freezer type bags and then passes them on to us to use, so I’m kind of delaying their trip to the tip, I guess, and not buying new ones. I am happy to say that we are almost plastic free in our house. 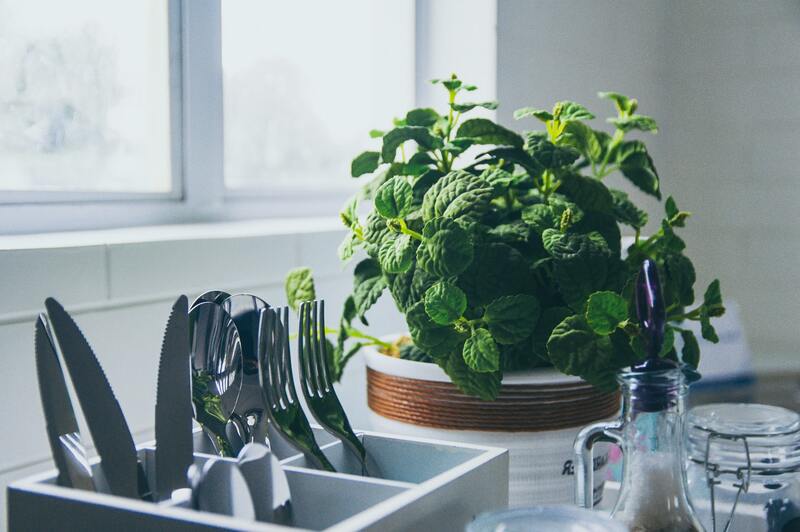 I have slowly changed over to buying lots of glass jars to replace plastic containers and bought some recycled paper products from Flannerys and when I remember, I am re-using bags at the grocery store ….and where did I learn most of this from? Re the avocado, I’ve found putting it in an airtight plastic/glass container works just as well as plastic wrap, I think I read somewhere leaving the stone in is an old wives tale but I still do! I’ve become a jar hoarder. I see every empty jar as a new home for leftovers. They are literally spilling out of my cupboards.Jars are so cute with all their shapes and sizes…..I think I may need some help. How about other small items such as half onions and lemons so that they don’t dry out? How do you wrap them? I have a lot of plastic containers. The take away type and the stuff you buy from woolies type. Is there anything to be concerned about If I use these containers for pantry storage or general storage? Thanks, I found that one after I sent the comment 🙂 I’ve been taking notice of where I use plastic. I use freezer bags on my dog walks and I use plastic wrap for wrapping food into portions into the freezer (because I try to buy in bulk). I think I’ll start to take paper bags on the dog walks, but not sure about freezing foods. Is it bad to use plastic containers to freeze food? well from my understanding the plastics in the containers don’t like extreme temps – hot or cold as it can cause the yukkies to leach. To be safe, I wrap food in baking paper and then freeze in pyrex or in glass jars. I have been using good old-fashioned waxed lunch wrap for my kids’ sandwiches for a few years now. That’s what my mum wrapped my school lunch in. Available form Coles. 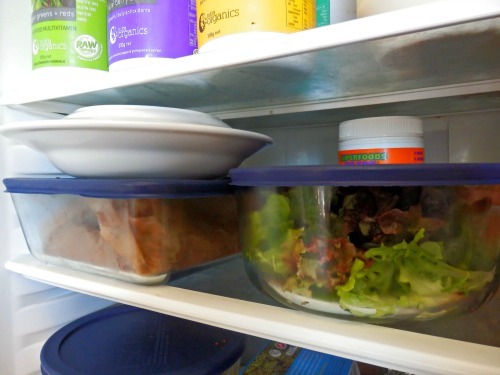 What would you use to go between layers of food for the freezer to stop it sticking together?